Spending your last 20 years on Earth in a hospital bed probably isn’t what you imagine when hoping for a long life. Longevity isn’t just about reaching a ripe old age. It is also about aging gracefully – feeling and looking good as you get there! Thanks to modern medicine people today live longer on average than at any other time in the past. However the quality of life for many isn’t what people would consider desirable. While life expectancy for men and women has increased, scientists have found ‘healthy life expectancy’ is increasing at a far slower pace. That means people are living longer lives — but spending more of that time with illness or poor health. When we talk these days about staying young and slowing down aging, we often only think of our face, skin, hair-loss and weight-gain but these are only the changes we can see. Anti-aging creams, face lifts, plastic surgery and Botox injections are only cosmetic solutions to looking young. Taking these approaches without considering holistic health is treating the symptoms of ageing rather than the causes. It’s like polishing a car without servicing the engine and internal components – youth, like beauty, is more than skin deep. But unlike a shiny car with a run down engine, our outward appearance will deteriorate as our inner health declines. The older one gets, the more rapid the decline if we neglect our internal health. There is simply no escaping it. Many symptoms or signs of aging won’t appear until we approach our ‘golden’ years, when some people believe it is too late to take positive action. In fact, the reverse is true. As we age, a healthy routine becomes even more crucial to maintaining ourselves. The key is to understand how to adapt to your body’s changing needs. China’s first extensive census in the 1970s revealed that villagers in the remote mountains of Guizhou Province in southwest China – where Jiaogulan grows wild – were achieving unusual longevity and vitality, living well beyond 100 years of age! In 1979, the Chinese Government sent researchers from the Chinese Academy of Medical Sciences to investigate the reason behind the census anomaly. Led by Dr. Jialiu Liu, what they found was nothing short of astounding. Unlike other regions of China where Green Tea was popular, many of the centenarians surveyed in Guizhou were consuming Jiaogulan daily, a wild vine tea they themselves had named ‘Xiancao’ – The Immortality Herb. 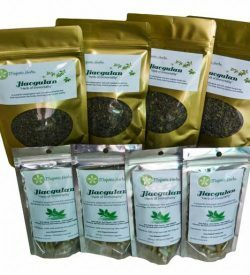 Dr. Liu and his team of sixteen scientists proceeded to conduct extensive research into the benefits of Jiaogulan, which resulted in over 300 animal and human studies documenting the herbs amazing effects. Contemporary research has done nothing to dispel the ‘myth’ of Jiaogulan and its adaptogenic and anti-ageing properties. Unfortunately, this research remains less known and the herb’s properties less marketed than pharmaceutical treatments. 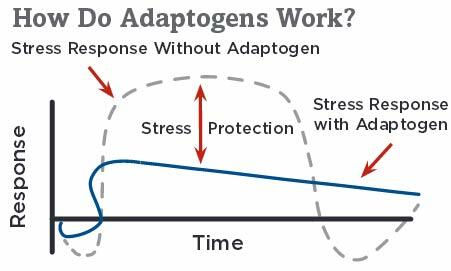 Adaptogens are herbs that increase the body’s ability to resist the damaging effects of stress and promote or restore normal physiological functioning (homeostasis). 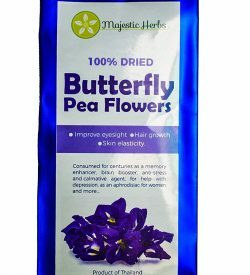 They not only increase the resistance to the adverse effects of ageing, they are also immune stimulating, increase general sense of well-being and offer a surprising array of other health benefits. In numerous publicly available but widely unknown studies, adaptogenic herbs have been shown to promote an incredible range of health benefits. Many of these promote longevity and can help your body resist the ageing process. As an adaptogen, Jiaogulan assists your body in adapting to many forms of stress and exerts a normalizing effect or homeostasis upon bodily processes. Adaptogens support normal metabolism, help restore balance to the immune, nervous, and endocrine systems and allow the body to maintain optimal homeostasis. They usually also benefit the liver, cardiovascular system, kidneys, and pancreas. Jiaogulan is rich in saponins – natural glycosides, which possess a wide range of pharmacological properties. 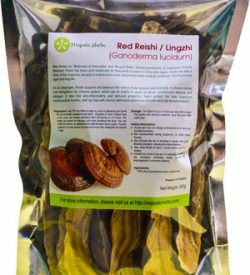 In clinical studies to date, the consumption of saponins has been found to lower cholesterol, reduce risk of heart disease and react with cholesterol rich membranes surrounding rogue cells to inhibit the growth of cancer. Ageing has been defined as the accumulation of free radical damage over time. Free radicals can be created from substances found in the food we eat, the medicines we take, the air we breathe and the water we drink. Basically, free radicals are waste products from various chemical reactions in our cells that, when too numerous, harm the cells of the body. Arguably the most powerful tool to protect the healthy cells of the body from these negative effects of free radical compounds, are anti-oxidants. Jiaogulan is jam-packed full of rich antioxidants that hunt down and target free radicals. However, it is the antioxidants produced by our own bodies that are thousands of times more effective than antioxidants we can get from antioxidant rich foods, vitamins, or supplements. The antioxidants superoxide dismutase, glutathione peroxidase and catalase are the most powerful currently known . They are absolutely vital for good health and longevity, but very difficult or impossible to obtain through diet. 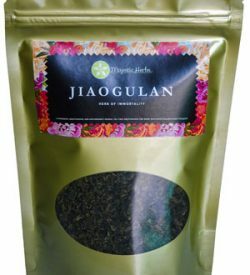 Instead, Jiaogulan actually stimulates the body’s own production of all 3 of these powerful internal antioxidants. In fact, drinking Jiaogulan is the ONLY known effective way to increase the body’s levels of superoxide dismutase – arguably the MOST powerful and important antioxidant of all. Superoxide dismutase (SOD) and glutathione peroxidase have been directly correlated by scientific research to both good health and longevity. 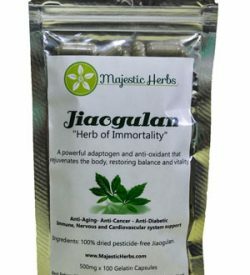 It is surprising given the sheer weight of studies available on Jiaogulan that the medicinal qualities of ‘The Immortality Herb’ are not better known or better researched. Sadly, today natural remedies remain less known and less used than pharmaceutical treatments. Perceived as a threat to established medicines, some studies have also been attacked for perceived methodological flaws. Traditional forms of herbal medicine also remain under-researched relative to pharmaceuticals due in part to a lack of financial incentive for sponsors. There have now been numerous studies that support claims Jiaogulan (Gynostemma pentaphullym) helps fight the causes of ageing and increases longevity. As a powerful adaptogen, Jiaogulan produces a nonspecific response in the body—an increase in the power of resistance against multiple stressors including physical, chemical, or biological agents in multiple nonspecific ways, including the building of a reserve of “adaptive energy”. This reserve is then used when an actual stressor arises, instead of depleting the cells of vital energy. Numerous human and animal studies have shown Jiaogulan to protect and strengthen the immune system function, due to its antioxidant properties and ability to balance Nitric Oxide production. Jiaogulan’s antioxidant properties and its ability to regulate Nitric Oxide production also protects and enhances the function of the central and peripheral nervous systems. Read more about the benefits and effects of Jiaogulan. Read from our own customers’ experiences with Jiaogulan. Chi A, Tang L, Zhang J, Zhang K; Chemical Composition of Three Polysaccharides From Gynostemma pentaphyllum and Their Antioxidant Activity in Skeletal Muscle of Exercised Mice; International Journal of Sport Nutrition and Exercise Metabolism; 2012 Dec;22(6):479-85.